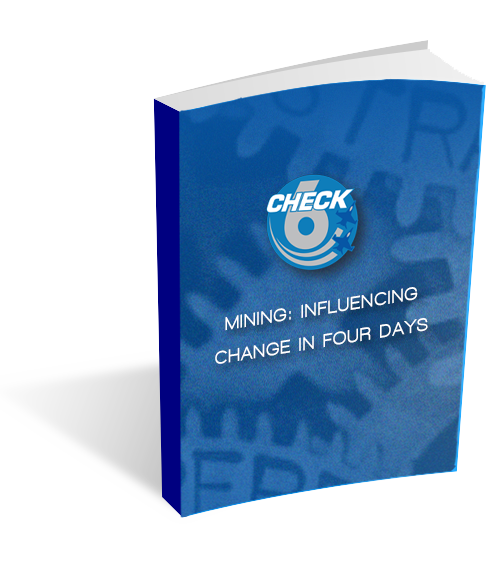 A recent client charged the Check-6 Mining team with accomplishing this task. Our intent was to execute the normal 3-phase (Assess / Train / Coach) model for plan-based execution (PBE) training. But due to budgetary constraints, we were forced to derive a plan that could achieve initial objectives in just one 4-day visit. Download your free copy to find out more.